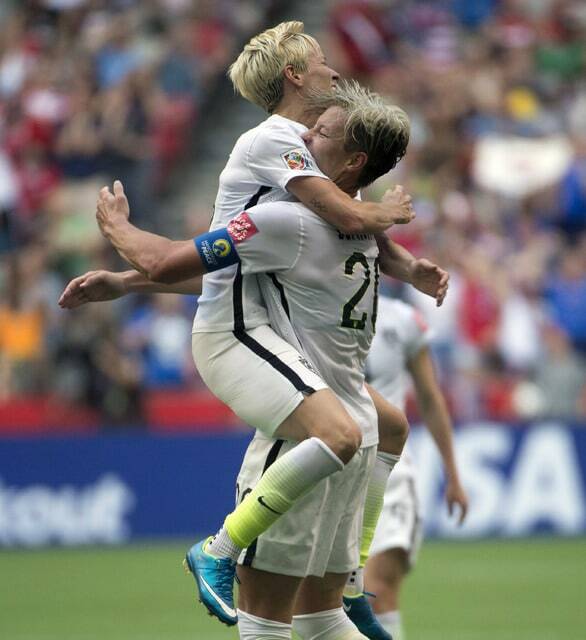 Doesn’t really matter to Wambach. What does is that she scored, pulling the U.S. national team to a 1-0 victory over Nigeria and into a first-place finish in its group at the Women’s World Cup. It was Wambach’s first goal in Canada and her 14th overall in a World Cup, pulling her even with Birgit Prinz for second on the all-time list behind Brazil’s Marta, who has 15. The United States, ranked second in the world behind Germany, has two World Cup titles, but hasn’t won since 1999. Four years ago in Germany, the U.S. advanced to the final but fell to Japan on penalty kicks. The 35-year-old veteran, who didn’t score in the first two U.S. group stage matches, had never gone without a goal in the opening round in her four overall World Cup appearances. Morgan, who has 51 goals in 84 international appearances, had not started in a match since April 11, the season opener for the Portland Thorns of the National Women’s Soccer League. Her last start for the United States came April 4 in a 4-0 victory over New Zealand in St. Louis, Missouri.